Women Don’t Read Torah … Or Do They? These phrases were recently thrown at me, along with handshakes and hugs, as I left the bimah and made my way to my seat in Beth Am Congregation’s magnificent sanctuary in Reservoir Hill. The previous five minutes were a blur, but these words and actions told me I’d survived. I’d read Torah. For the first time, ever. About six months earlier, my friend, Heidi, asked if I’d read at her son’s bar mitzvah. We love them like family, so how could I say no? At the same time, how could I say yes? Raised in a conservative but modern Orthodox-leaning family, I was taught that women don’t read Torah. And even though for more than 30 years I’ve attended services around the country where women were welcome on the bimah, I’ve almost always said no to an honor when I was asked. But over the years, the “women-don’t-do-that” mantra began to be replaced by a bit of jealousy. When they left the bimah, these women seemed to smile in a way that showed they were members of a group I wasn’t part of. I’m the great-granddaughter of Orthodox rabbis and a Beth Tfiloh Community School graduate. 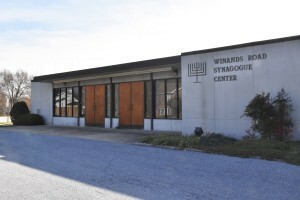 As a kid at Winands Road Synagogue Center in Randallstown, women sat in separate, raised sections that bookended the men’s section. I didn’t have any female, Torah-reading role models, or even role models of women on the bimah. My bat mitzvah was on a Sunday morning – a group of 12-year-old girls in frilly, white, Jessica McClintock-style dresses – with much singing but no Torah reading. 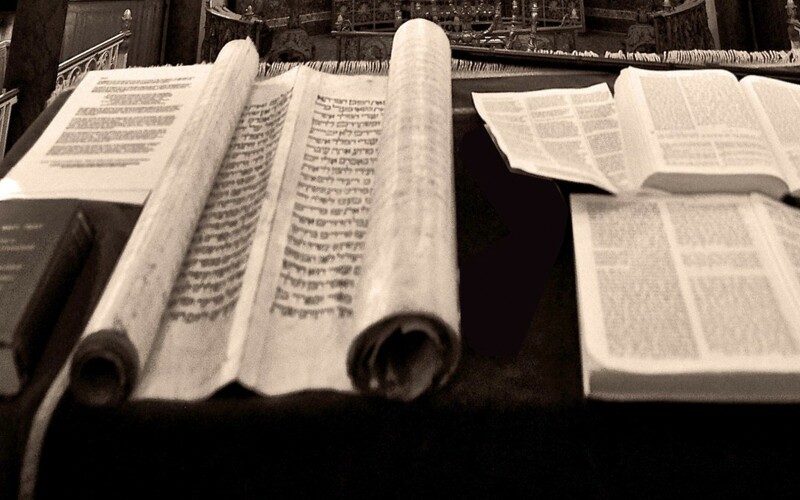 Over the years, I’d witnessed women, many of whom I knew and admired, point to the Torah with a silver yad and read their parshiyot (Torah portions) in strong, lilting voices. So when Heidi asked, I decided it was finally my turn. My decision wasn’t a gut-wrenching or soul-searching one. I’d started years earlier, by saying yes to smaller requests: aliyot (being called up to the Torah), like the ones I had in my 20s at Congregation Ahavas Shalom, the tiny synagogue I belonged to in Newark, N.J. — which became an egalitarian congregation because they often didn’t have enough men for minyanim — and ark openings and closings like I’d done for Heidi’s older son’s bar mitzvah. To get ready, I turned to my friend, Hannah Heller, a Torah reader and tutor. Like me, she came to Torah reading from a religious upbringing where she couldn’t participate fully. Listening to her father, a rabbi, read Torah, she knew she wanted to do the same. After years of waiting, Hannah took her place on the bimah, reading in Highland Park, N.J., as part of a women’s tefillah (prayer) group; now she’s a regular reader at Chevrei Tzedek, a Conservative congregation in Northwest Baltimore. Hannah prepared me to read the words but as the day drew closer, I was terrified. But those remaining doubts disappeared three days before the bar mitzvah, thanks to Rabbi Daniel Cotzin Burg, Beth Am’s spiritual leader. I’d run into him a week earlier and harassed him with all kinds of questions: “Do I wear a tallit? A kippah? When do I go up to the bimah?” His recommendation? Practice in the real environment. As I chattered on nervously, Rabbi Burg carefully unrolled the beige parchment scroll to my reading. What happened next was so very different from my home rehearsals using an online version of the text. I sang, “Amen,” in the tune reserved for Torah readings, but the words from the parsha stuck in my throat. For a brief minute, I was a post-bat mitzvah teenager again, sure I was doing something wrong. I looked up, took several deep breaths, peered around the cavernous, historical sanctuary and started over. As I pointed to the words with the yad held by countless women — many of them like me reading for the first time — any terror was replaced by giddiness and awe. I repeated, “Amen,” and read the words from the parchment in my own strong voice, each word adding to the sanctity of what I was doing. After practicing just twice, I knew I was ready. Once I finished reading my four stanzas from Leviticus, Chapter 12, Parshat Tazriah, on the morning of the bar mitzvah, Rabbi Burg let the congregation in on my secret. I couldn’t stop smiling. And as he led the congregation in the Shecheyanu prayer, the feeling of being part of a special group washed away any remaining traces of guilt. Most of what Rabbi Burg said is a blur now. But I do remember hearing something about how this could be the start of my reading regularly. Honestly, I don’t know. Right now, I’m just wondering what took me so long. 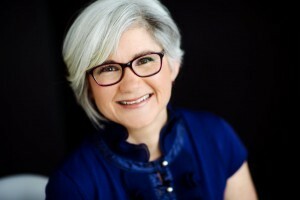 Faye Rivkin is a Baltimore-based freelance writer.